Most millennials think they don’t need life insurance. 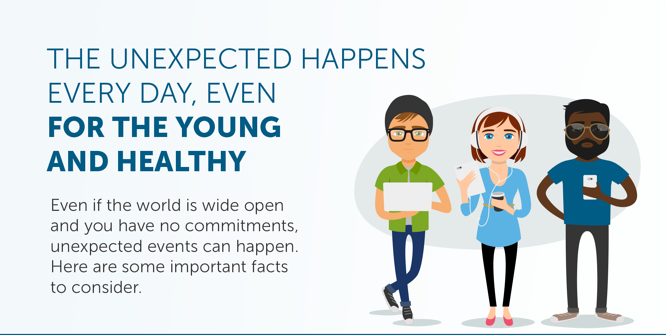 But did you know that nearly 3 out of 5 millennials say that if they suddenly passed away they would be concerned about the financial wellbeing of their loved ones? For many in this age range, life insurance never crosses their minds until a life changing event like marriage or having kids takes place. However, you should still consider getting life insurance to help protect your loved ones in case something happens to you. Do you want your loved ones to be burdened with the cost of your funeral? Is your group benefit coverage from your employer enough? Individual life insurance can help you prepare for the unexpected. This is the first of a three part series that takes you through the stages of life and how you can prepare for the unexpected at each stage. Part of life and all of its twists and turns includes ensuring that you plan smart to protect your loved ones. 1 benefitscanada.com. Canadians worried about family finances after death. 2015. 2Canadian Cancer Statistics 2016. Canadian Cancer Society. 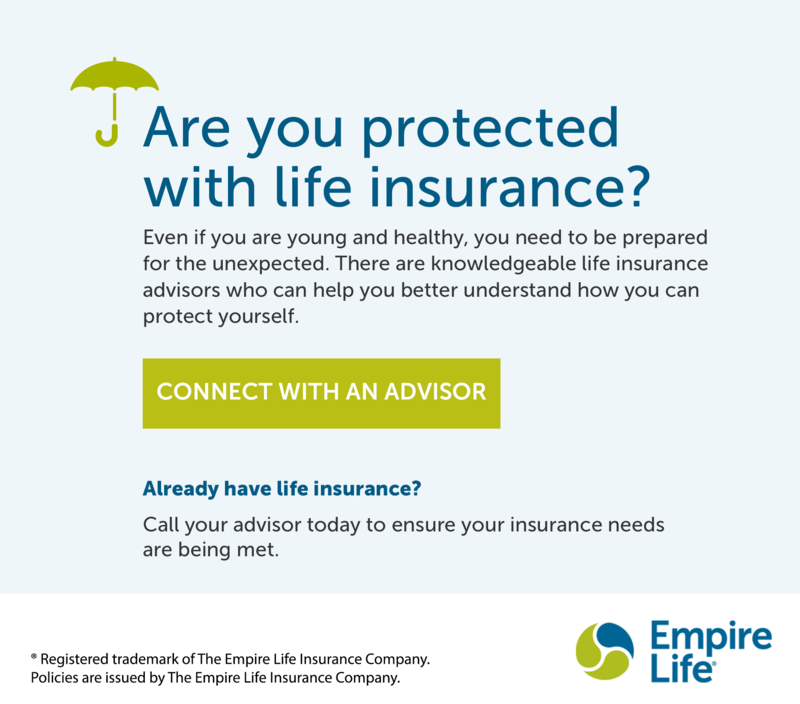 3 Individual Life Insurance amount is based on rates for a healthy 30-year-old-female, non-smoker, purchasing $250,000 of Empire Life Solution 20 Term Life Insurance as of January 2017. 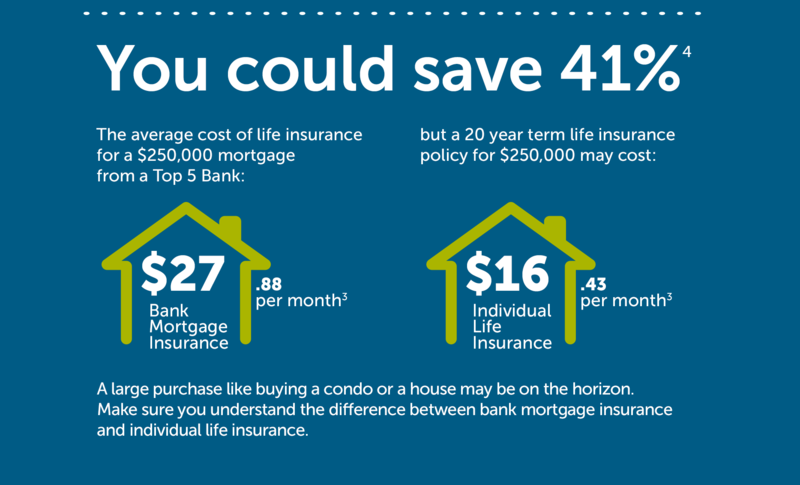 Bank Mortgage Insurance amount is based on the average of available rates for RBC, Scotiabank, TD Canada Trust, BMO and CIBC for life insurance purchased by the same individual incidental to a $250,000 mortgage as of January 2017. 4 41% savings/month is for the first 20 years and assumes no changes are made to the mortgage or either type of insurance. 5 Funeral Service Association of Canada (FSAC). 2013.